Reason I ask is my two nephews got Ruger 1-8 twisted 22-250's for Christmas. If time allows, I plan on reloading deer bullets for them for next fall and have been leaning towards the 62 grain TTSX and 70 TSX. I have a bunch of 60 grain Nosler Partitions on hand that I have used on deer and might give them a whirl in their rifles, but I know some rifles don't like the 60 NPT. Yeah, and some people don't care for partition bullets. they have never claimed accuracy on a level with monolithic solids or lead core, gliding jacketed bullets. Personally, I think the divider and where it's located along the body is a very dicy place if everything isn't balanced perfectly. Just a personal opinion. The whole theory is based on the retention of sufficient mass after the forward part frags. I don't know, it just seems to add a more complicated element, and I can't argue that it's not done with precision, I just see lots of non partition bullets perform satisfactorily, like the Swift A frame comes to mind, for dangerous game. Just put me down as never a fan. Really, no offense intended, just stating a long held opinion. I know from talking with others the 60 grain np can be a bit finicky and some rifles will shoot them and some won't even if the twist is a faster. I'll have to see how they shoot in my nephews rifles before I try something else though. I've been lucky in that the two 22-250's I've tried them in both shoot the 60 np's pretty well. Darn sure good enough for deer and that is what I have used them on. Effective little pills that penetrate well, bust bone, etc.. There seems to be quite a few good deer bullets available in .22 cal anymore so there are options. Yeah, and you know something else? First you buy them the gun and then you do the handloading for them. I'm talking about myself, here. If these folks just aren't motivated, I should have let them buy factory, a long time ago. Or somebody else wants the instant gratification of pulling the handle on a Dillon. I always liked the tactile part, working with my hands, trimming, deburring, etc. And some don't. Lonny, you'll never know unless ya try! And the testing part can be kinda fun, in & of itself. The 62 TSX comes in a (T)ipped version now, too...might fly a bit flatter from the .22-250? I went with the 70, cuz they worked great from .22-243Win speed, and didn't wanna risk "splashing" a VLD type boolit on deer bone. So far, so good! Can say that, the massive impact velocity (3900) didn't ruin much meat due to bullet shrapnel, but the rib area around the entrance was obviously 'bruised', for lack of a better word? Conversely, Sierra actually has a reputation for understating their published b.c. values , and they test at or above published b.c numbers. Beyond that, Sierra even provides stepped values, based on given velocity ranges. Yeah, Fred. I've always been a little stink eyed at Nosler, but admit, I have nothing bad to say about their Ballistic Tips, particularly the ones I use, the 55 grain .224, and the 100 gr. .257. But, other than that. However, I'm tempted to consider their new cartridges, like 22 Nosler, 25 Nosler, etc. Just seems like a slick design. I have some Nosler 300WM brass that is every bit as good as Lapua, in my opinion. Id kinda like to step up to a big .22 myself. Since Fred posted this thing, Ive been hankerin for something different. That's the hook, Mark. Just sit down and relax until the urge evaporates. 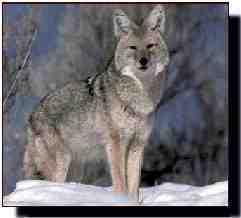 You do NOT need a Red Line to kill coyotes! It's very the same as fishing tackle, those tiger striped spoons catch fishermen, not fish. But, if you really must, I highly recommend a 22-250 Ackley. It's a marvelous cartridge, not withstanding it doesn't have the magic word, "Creedmoor" in it. Come to think of it, "Ackley" USED to be a very potent "Buzzword". Am I that old?